Kansas City Actors Theatre has completed casting for its production of Paul Osborn’s “Morning’s at Seven,” which will run from May 22 to June 9 at the City Stage in Union Station. 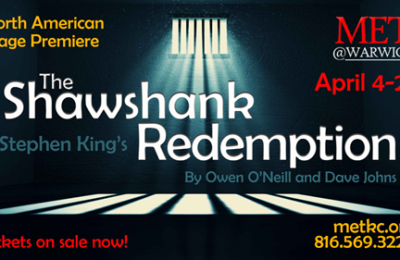 The production will be directed by Dennis Hennessy of The New Theater in Overland Park, and will star Deb Bluford, Greg Butell, Krista Eyler, Peggy Friesen, Jeannine Hutchings, Gary Neal Johnson, Merle Moores, Victor Raider-Wexler, and Mark Robbins (KCAT co-founder). The production will also feature set design by Gary Mosby, costumes by Sarah M. Oliver, lighting design by Shane Rowse, sound design by Jon Robertson, and props from Shawnna Journagan. 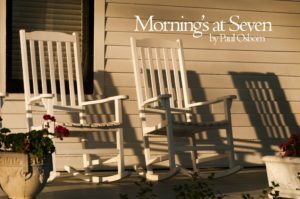 Taking its title from a Robert Browning poem about all that can be right with the world at seven in the morning, Paul Osborn’s “Morning’s at Seven” is a charming portrait of life in a small Midwestern town in 1938. A much-loved, but rarely-performed classic, the story follows a quartet of sisters living near each other and the comic chaos of their lives in a show that considers some of the unique issues of aging and making changes to your life before it’s too late. As rumors fly and relationships change, audiences will be delighted by this lively cast of characters as they consider where they are in their lives, how they got there, and where they really want to go from where they are – and with who. First produced in 1939, “Morning’s at Seven” has been produced on Broadway three times between its premiere and revivals in 1980 and 2002 for a total of over 700 Broadway performances. Over the years, productions of “Morning’s at Seven” have been nominated for and won an array of Tony Awards and Drama Desk Awards. 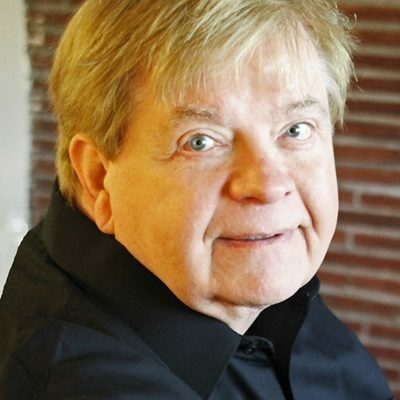 It has been performed on live television on at least three occasions, and a version of the 180 revival was filmed for broadcast on Showtime and then PBS in 1982. This is the first production of Kansas City Actors Theatre’s 15th Season, and the company is excited to have the opportunity to not only feature older, more mature actors at the top of their craft; but also to feature a story about aging and the “golden years” that rarely gets told in this way. The pay has endured in large part because it is a story about aging that declines to make the aging process traumatic or embarrassing in itself. The production will be directed by Dennis Hennessy of the largely-popular New Theater in Overland Park, who previously helmed popular productions of “The Gin Game” and “I’m Not Rappaport” for Kansas City Actors Theatre in 2015 and 2016, both of which addressed some of the unique issues that come with getting along in years. “Morning’s at Seven” will be presented at the City Stage in Union Station from May 22 to June 9. Previews will start on May 22 with Opening Night on Saturday, May 25th. Audience Talkbacks will follow performances on Friday, May 31; Sunday, June 2; and Wednesday, June 5. There will be no performance on Memorial Day, May 26, but there will be special additional matinee performances at 2:00 pm on Saturday, June 1; Wednesday, June 5; and Saturday, June 8. Tickets are between $28 and $47 and are available by contacting the Central Ticket Office at 816-235-6222 or online at http://www.kcactors.org/shows/mornings-at-seven/. In addition to “Morning’s at Seven,” Kansas City Actors Theatre’s 15th Season will include “A Doll’s House” by Henrik Ibsen (newly-adapted by Darren Sextro) in August, “’Master Harold’… and the Boys” by Athol Fugard in September, and “’night, Mother” by Marsha Norman in January. Season subscriptions are available online at http://www.kcactors.org/season-15/ or by calling the Central Ticket Office at 816-235-6222.